“The United Kingdom has never been more disunited”: How different are Scotland, England, and Northern Ireland now? #160 16/01/2017 Geschätzte Lesezeit: 5 Minuten. Uncertainty reigns in the United Kingdom post-Brexit. Racist attacks have increased fivefold in the wake of the Leave vote. 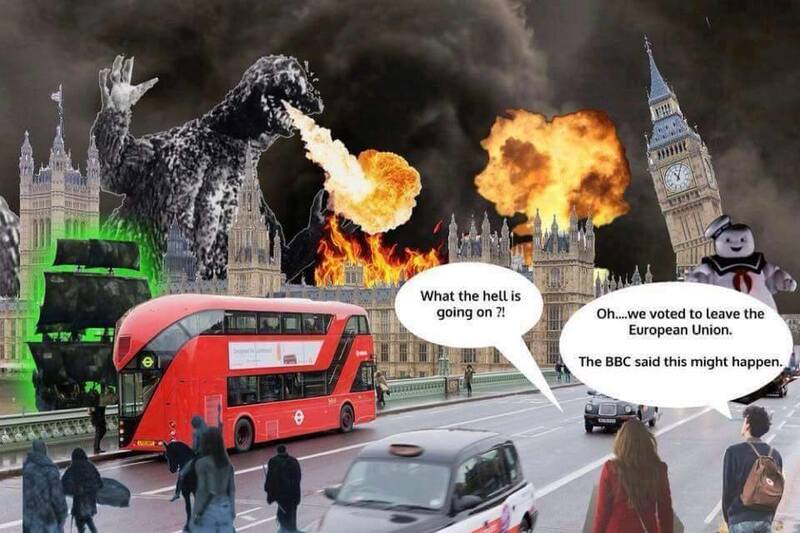 Memes depicting exploding buildings and catastrophe circulate on the Internet and have darkened the general mood, while the erstwhile Leave campaigners appear largely disinterested in actual post-Brexit leadership Worryingly, top-tier British politicians appear ambivalent on many central questions (not least regarding the future position of EU nationals already residing in Britain). The Labour Party also looks hell-bent on self-destruction at just the wrong time, dividing at present between a centrist-Blairite wing and a more traditional leftist orientation. One thing is certain however: The United Kingdom has never been more disunited. An urban-rural and young-old dichotomy became very clear from the earliest reports of the referendum voting patterns, while Gibraltar, Scotland and Northern Ireland voted unmistakably to remain in the European Union, as did London and cities such as Bristol, Oxford, Liverpool and Manchester. While a narrow and excluding Little-Englander nationalism appears to be gaining traction in many areas of England, why did Scotland vote to remain, especially as Scottish nationalism actually remains the most dominant political ideology north of the English border? The answer lies in the fact that Scottish nationalists, as epitomised by the Scottish National Party that now controls the parliament in Edinburgh, see their nationalism as a non-biological, internationalist civic nationalism. Indeed, the SNP orients itself towards the idea of Scotland as a historical (pre-1707) state-nation in which Edinburgh made, and should make, all decisions for Scotland, not London. Socialism, trade unionism and the Labour Party has traditionally been strongest in Scotland and it is, thus, perhaps no surprise that Scottish nationalism has often incorporated substantial Marxist elements. At the 2015 United Kingdom election Labour voters in Scotland moved in large numbers to the Scottish National Party, which has indeed anyway always seen itself as a social democratic party. Does Scottish just mean un-English? As the Scottish political scientist Michael Keating has pointed out, Scottish nationalism has also defined itself in terms of a fairly simplistic English-Scottish binary, at least since Margaret Thatcher became Prime Minister of the UK in 1979. Scottish nationalists began then to see ‘England’ as inherently imbued with conservative values, a narrow (English-dominated) British nationalism and anti-Europeanism, while Scottish nationalists came to view Scotland principally in terms of progressive politics – close in spirit to heavily idealised Scandinavian models –, internationalism and a pro-European stance. Indeed, “Scotland in Europe” became the rallying cry of Scottish nationalism in the 1980s, which looked for full Scottish independence within the European Union. As Scottish nationalism, judging by recent voting patterns, is the dominant ideology in Scotland it is then not at all surprising that Scotland voted to remain in the European Union, as Europeanism and Scottish nationalism have been, for almost forty years now, ideological bedfellows. The situation in Northern Ireland is probably even more complex. Historically riven by a violent conflict between Northern Irish people of an exclusively Irish identity (often labelled Catholics or ‘nationalists’) and Northern Irish people with a dominant British identity (often also with Irish elements, and usually labelled as Protestants or ‘unionists’), questions of identity and identity politics dictate the Northern Irish debate. The terrorist-dominated conflict, known euphemistically as the ‘Troubles’, began in 1969 and came to an end of sorts in 1998 with the signing of the Good Friday Agreement, which established a Belfast-based self-government, as well as all-island and cross-island consultative political institutions. Will England be the new Greenland? Central to the agreement was the over-riding authority of the European Court of Human Rights, while the European Union agreed to invest heavily in the province. The Good Friday Agreement also institutionalised the normality of multiple identities within Northern Ireland, allowing people born in the north to avail of an Irish or a British passport, or both, within the realm of a wider European identity. While the British nationalist discourse of the Leave campaign appeared to appeal to some unionist elements, nationalists, liberal unionists and communities living close to the border with the Republic of Ireland voted overwhelmingly to remain within the European Union. Continuing cross-border co-operation appears to have been the chief consideration and, indeed, if Brexit is fully realised the EU could, potentially, have a land border with a non-EU territory on the island of Ireland. An unusual situation, the form of which remains unclear, but a situation feared by many in Ireland, both north and south, and not least in the business community. The Brexit conversation, both before and after the actual referendum, was dominated by English politicians, who did not appear to be remotely interested in the constitutional position of Northern Ireland, let alone Scotland. The political scientist Brendan O’Leary has proffered one interesting and possible solution. Citing the precedent of Greenland in the 1990s, which formally left the European Union while remaining a self-governing territory of a full EU member state, Denmark, O’Leary believes it would be constitutionally and legislatively possible for England and Wales to leave the European Union, while Scotland and Northern Ireland remained. Such a solution would see the United Kingdom remaining essentially intact, but would also probably result in an economic shift from the City in London to Edinburgh and Belfast. Whatever happens, politics and business on ‘the Isles’ will never be the same again. Lenehan, Fergal: „“The United Kingdom has never been more disunited”: How different are Scotland, England, and Northern Ireland now?”, unter: https://www.nimirum.info/insights/b_160-the-united-kingdom-has-never-been-more-disunited-how-different-are-scotland-england-and-northern-ireland-now/ (abgerufen am 13/04/2019). Fergal Lenehan teaches at the University of Jena. His book Intellectuals and Europe: Imagining a Europe of the Regions in 20th Century Germany, Britain and Ireland was published in 2014; his new book Stereotypes, Ideology and Foreign Correspondents: Ireland in German Media 1946-2010 will be published in August 2016. Can Brexit be a moment of opportunity? Voters may have been misled, and their motivations are hard to assess. But the vote for Brexit is the result of at least one desire that entrepreneurs can work with. Nimirum Managing Partner Dr Christophe Fricker explains.